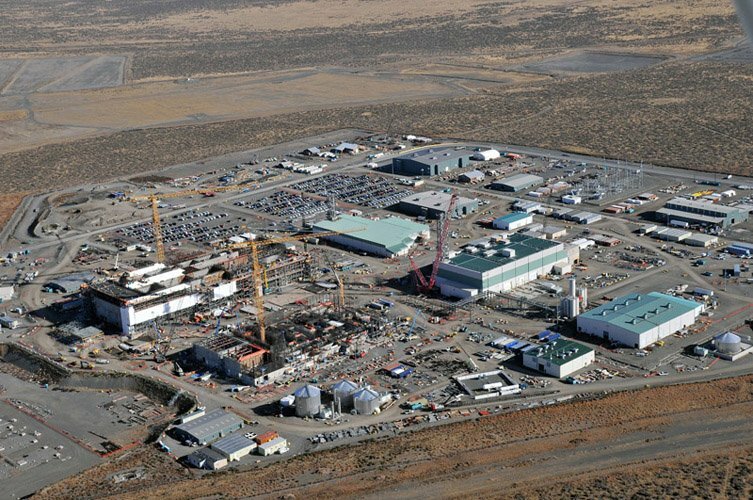 DOE’s Waste Treatment Plant at Hanford, the “Vit Plant”, is being built to process a complex mixture of radioactive waste products from 1950s nuclear weapons production. The wastes, currently in liquid form and stored in tanks at the site, was labeled “gorp” by William Mullins in one of his posts on the LinkedIn Nuclear Safety thread. * Actually we think the better reference is to “glop”. Glop is defined at merriam-webster.com as “a thick semiliquid substance (as food) that is usually unattractive in appearance”. Readers should disregard the reference to food. We would like to call attention to another source of “glop” accumulating at the Vit Plant. It is the various reports by DOE and Hanford regarding safety culture at the site, most recently in response to the Defense Nuclear Facilities Safety Board’s (DNFSB, Board) findings in June 2011. These forms of glop correspond more closely to the secondary definition in m-w, that is, “tasteless or worthless material”. The specific reports are the DOE’s Implementation Plan (IP)** for the DFNSB’s review of safety culture at the WTP and the DOE's Office of Health, Safety and Security (HSS) current assessment of safety culture at the site. Neither is very satisfying but we’ll focus on the IP in this post. It goes on to state that “specifically” DOE does not agree with the conclusions regarding the overall quality of the safety culture. Not surprisingly this brought the following response in the DNFSB’s August 12, 2011 letter, “...the disparity between the [DOE’s] stated acceptance and disagreement with the findings makes it difficult for the Board to assess the response….” (IP, p. 46)***** Note that in the body of the IP (p. 4) DOE does not acknowledge this difference of opinion either in the summary of its June 30 response or the Board’s August 12 rejoinder. We note that neither the DNFSB report nor the DOE IP is currently included among the references on Bechtel's Vit Plant website. One can only wonder what the take away is for Vit Plant personnel — isn’t there a direct analogy between how DOE reacts to issues raised by the DNFSB and how Vit Plant management respond to issues raised at the plant? Here’s an idea: provide a link to the safetymatters blog on the Vit Plant website. Plant personnel will be able to access the IP, the DNFSB report and all of our informative materials and analysis. In fact, reading all the references and the IP leave the impression that DOE believes there is no fundamental safety culture issue. Their cause analysis focuses on inadequate expectation setting, more knowledge and awareness and (closer to the mark) the conflicting goals emerging in the construction phase (IP, pp. 5-8). While endlessly citing all the initiatives previously taken or underway, never does the DOE reflect on why these initiatives have not been effective to date. What is DOE’s answer? More assessments and surveys, more training, more “guidance”, more expectations, etc. There are two aspects of decisions: the process and the result. The process includes the ability to freely raise safety concerns, the prioritization and time required to evaluate such issues, and the treatment of individuals who raise such concerns. The result is the strength of the decision reached; i.e., do the decisions reinforce a strong safety culture? We have posted and provided examples on the blog website of decision assessment using some methods for quantitative scoring. * The link to the thread is here. Search for "gorp" to see Mr. Mullins' comment. ** U.S. Dept. of Energy, “Implementation Plan for Defense Nuclear Facilities Safety Board Recommendation 2011-1, Safety Culture at the Waste Treatment and Immobilization Plant” (Dec. 2011). *** IP Att. 1, DNFSB Recommendation 2011-1, “Safety Culture at the Waste Treatment and Immobilization Plant” (June 9, 2011). **** IP Att. 2, Letter from S. Chu to P.S. Winokur responding to DNFSB Recommendation 2011-1 (June 30, 2011) p. 4. ***** IP Att. 4, Letter from P.S. Winokur to S. Chu responding to Secretary Chu’s June 30, 2011 letter (Aug. 12, 2011) p. 1. Will Safety Culture Kill Palisades? To tell the truth, I have no idea. But the plant has an interesting history and reviewing it may give us some hints with respect to the current situation. If Palisades were a person, we would think it existed in almost laboratory-like conditions for developing a distinct cultural strain. It’s elderly, a little “different” and a singleton, with a stillborn sibling and a parent who never really loved it. Consumers was looking for someone else to operate or take over the plant as far back as the early 1990s. Eventually, in 2001, they hired the Nuclear Management Company to operate the plant. That relationship continued until the plant was sold to Entergy in April 2007. More important from the standpoint of trying to infer something about the safety culture, Palisades kept its nose clean with respect to the NRC. There were three Severity Level III violations during the Consumers era, and one SL-III and one White violation in 2001. It looks like three different management regimes were able to maintain an effective safety culture but there has been a recent lapse with three White violations since 2009 and preliminary White and Yellow findings in process. What does this tell us, if anything? Has Entergy been squeezing the plant too hard? Did the CF success under Entergy lead to complacency? Are there any long-standing material condition problems to sap morale and depress safety culture? Have there been regular, in-depth independent assessments of organizational issues? I have no insight into this situation although in our Jan. 12 post, I said it looked like the process of normalization of deviance had occurred. But there is one thing that should jolt the staff into paying attention to detail, at least for awhile: Some Entergy MBA is carefully watching the numbers. If the NRC shuts down Palisades, it won’t be long before Entergy folds up its tent and walks away. No generation means no revenue. And I can’t believe the PSC or ratepayers in economically depressed Michigan have much interest in bailing out a carpetbagger owner. Problems at Palisades—A Case of Normalization of Deviance? The Palisades nuclear plant is in trouble with the NRC. On Jan. 11, 2012 the NRC met with Entergy (the plant’s owner and operator) to discuss two preliminary inspection findings, one white and one yellow. Following is the NRC summary of the more significant event. At the meeting with NRC, an Entergy official said “Over time, a safety culture developed at the plant where workers thought if they had successfully accomplished a task in the past, they could do it again without strictly following procedure [emphasis added]. . . . In an earlier post, we defined normalization of deviance as “the gradual acceptance of performance results that are outside normal acceptance criteria.” In the Palisades case, we don’t know anything more than the published reports but it sure looks to us like an erosion of performance standards, an erosion that was effectively encouraged by management. This is not Palisades’ first trip to the woodshed. Based on a prior event, the NRC had already demoted Palisades from the Reactor Oversight Process (ROP) Licensee Response Column to the Regulatory Response Column, meaning additional NRC inspections and scrutiny. And they may be headed for the Degraded Cornerstone Column. *** But it’s not all bad news. At the end of the third quarter 2011, Palisades had a green board on the ROP. **** Regular readers know our opinion with respect to the usefulness of the ROP performance matrices. * NRC news release, “NRC to Hold Two Regulatory Conferences on January 11 to Discuss Preliminary White and Preliminary Yellow Findings at Palisades Nuclear Plant,” nrc.gov (Jan. 5, 2012). 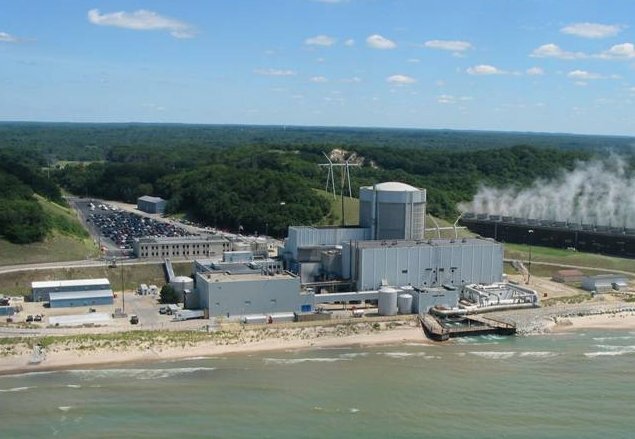 ** F. Klug, “Decline in safety culture at Palisades nuclear power plant to be fixed, company tells regulators,” Kalamazoo Gazette on mlive.com (Jan. 11, 2012). *** B. Devereaux, “Palisades nuclear plant bumped down in status by NRC; Entergy Nuclear to dispute other findings next week,” mlive.com (Jan. 4, 2012). **** Palisades 3Q/2011 Performance Summary, nrc.gov (retrieved Jan. 12, 2012). We thought we would take this opportunity to do a little rummaging around in the Google analytics and report on some of the statistics for the safetymatters blog. The first thing that caught our attention was the big increase in page views (see chart below) for the blog this past year. We are now averaging more than 1000 per month and we appreciate every one of the readers who visits the blog. We hope that the increased readership reflects that the content is interesting, thought provoking and perhaps even a bit provocative. We are pretty sure people who are interested in nuclear safety culture cannot find comparable content elsewhere. The following table lists the top ten blog posts. The overwhelming favorite has been the "Normalization of Deviation" post from March 10, 2010. We have consistently commented positively on this concept introduced by Diane Vaughan in her book The Challenger Launch Decision. Most recently Red Conner noted in his December 8, 2011 post the potential role of normalization of deviation in contributing to complacency. This may appear to be a bit of a departure from the general concept of complacency as primarily a passive occurrence. Red notes that the gradual and sometimes hardly perceptive acceptance of lesser standards or non-conforming results may be more insidious than a failure to challenge the status quo. We would appreciate hearing from readers on their views of “normalization”, whether they believe it is occurring in their organizations (and if so how is it detected?) and what steps might be taken to minimize its effect. A common denominator among a number of the popular posts is safety culture assessment, whether in the form of surveys, performance indicators, or other means to gauge the current state of an organization. Our sense is there is a widespread appetite for approaches to measuring safety culture in some meaningful way; such interest perhaps also indicates that current methods, heavily dependent on surveys, are not meeting needs. What is even more clear in our research is the lack of initiative by the industry and regulators to promote or fund research into this critical area. A final observation: The Google stats on frequency of page views indicate two of the top three pages were the “Score Decision” pages for the two decision examples we put forward. They each had a 100 or more views. Unfortunately only a small percentage of the page views translated into scoring inputs for the decisions. We’re not sure why the lack of inputs since they are anonymous and purely a matter of the reader’s judgment. Having a larger data set from which to evaluate the decision scoring process would be very useful and we would encourage anyone who did visit but not score to reconsider. And of course, anyone who hasn’t yet visited these examples, please do and see how you rate these actual decisions from operating nuclear plants.